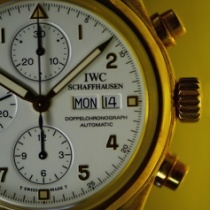 The short International Watch Company favorite the best among the IWC the model is this Doppel chronograph 3713. This feature, called the center split model is composed of two thin needle and the needle is overlap in exquisite, I wear one of the first run and two pieces of two eyes is measurably complex functions as a separate measurement sequentially. 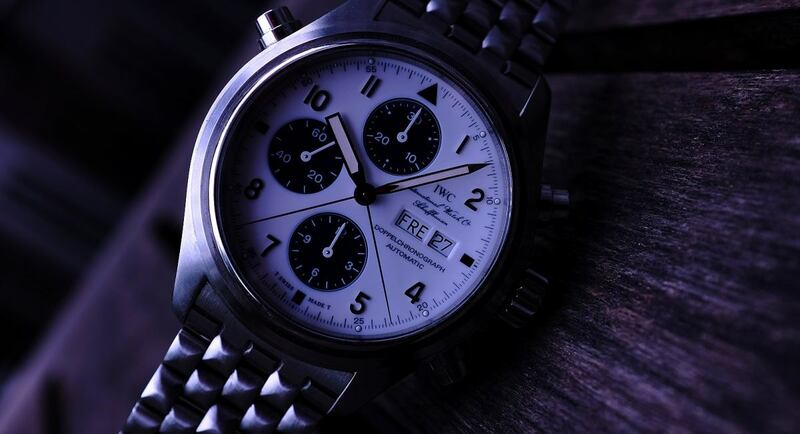 This Doppel Chronograph 130 anniversary limited model was IWC company special model to commemorate been Japan limited release the 130 anniversary of. 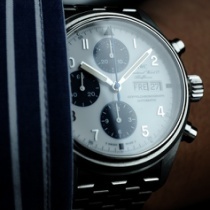 Blue index dial in a special white dial is characterized. 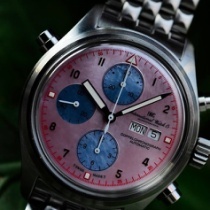 The brainchild planning of dial design of this model is domestic Yokohama Japan was considered by the AFF-1. 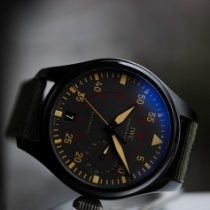 It was a distributor at the time of the IWC, is located at 130 anniversary limited edition that is joint planning initiative by design collaboration of Kako of a is Kasai and Mr. AFF IWC chief executive of Cosa Lieberman. I think it was a high rare Limited models quite complete even remember now. 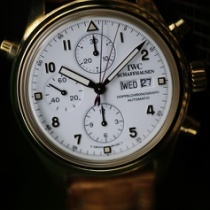 Management called IWC's vice-president is visiting Japan at that time sprinkled one an interpreter directly from Switzerland, it was me kneaded the planning concept of this IWC 130 anniversary model from prototyping stage. Several times but prototyping model of this dial is came sent over a few degrees, quite to not determined in to 2 times once, and finally was there is trial and error of about 5 times. You can garnish the cursive brand name that was used in the time of the 1868 time initial to dial, you can not be adopted to the center split model by superimposing two the red needle and grilled blue needle, and Limited in movement case the side at the time of ideas and can not be engraved serial number had abundant lot. 3711 absolutely in the era of the old dome lens! The insistence did., Era already glass of shape for the normal model was also evolved into a 3713 model was determined to plane type of sapphire glass. 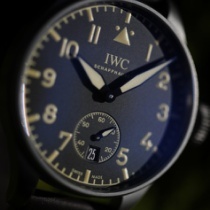 As honor High Limited model of 130 anniversary model is of course IWC, Inc., has been delivered total number 124 this only in Japan. Sales of our shop was about 86 Certainly this. 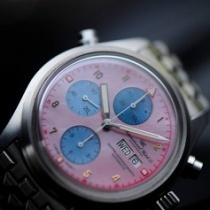 Thus this model as insider Limited watch I was sent out into the world. 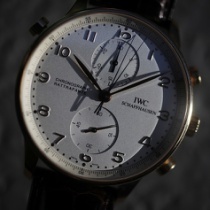 Story related to product announcements and this production of 130 anniversary model of this IWC did not tell only dare to know a handful of officials are. Now instead also agency in, people of Cosa Lieberman era that had been responsible for at the time of the IWC has dealt a different brand. Wonderful model to be loved even now. 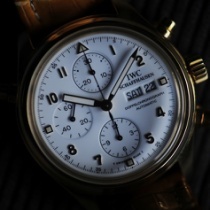 IWC Doppel Chronograph 3713 130 Limited. Best it is also a favorite gem.